Posted on September 29th, 2016. Take 5 minutes to watch this and you will never forget how to say and read 我要 “I Want” in Mandarin Chinese! If you liked it, please give this a like, and leave a comment on what Mandarin word you would like to learn next. Take 2 minutes to watch this and you will never forget how to say and read 猫 cat in Mandarin Chinese! Leave a comment below on what Mandarin word you would like to learn next! Because I am a purr-fectionist, I hope you enjoyed learning with this adorable cat, whose name is Anna. She is no ordinary cat because she lives with two huge dogs that bark very loudly. As fearless as she is, she often loves a cuddle. Posted on September 26th, 2016. You may also watch our video, on which this article is based. The greatest Olympian Swimmer of all time, Michael Phelps, during Beijing Olympics, said Mandarin was harder than winning 8 gold medals in the pool. Not one gold medal, but 8 gold medals. He’s a pretty smart guy, who could speak English, French, and German. So, why did he find Mandarin Chinese difficult? It appears that he is not alone. Mandarin Chinese is categorized as Category V, extremely difficult, by the FSI, and university students drop out of the Mandarin course after one month. So, why is Mandarin so difficult? 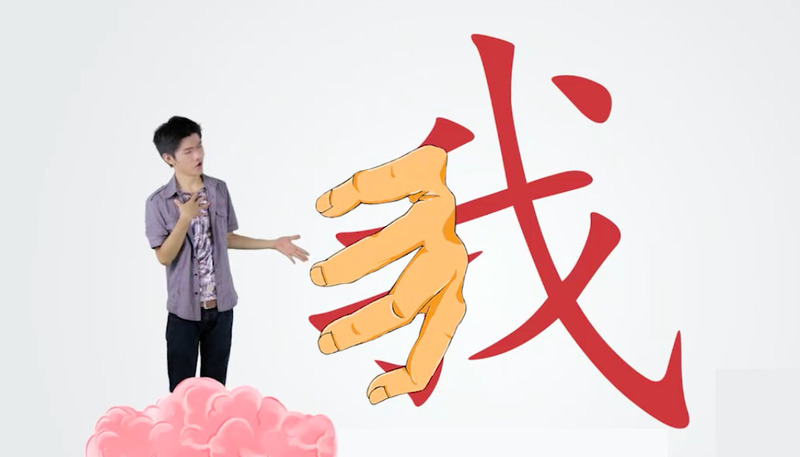 Here are 3 reasons why Chinese is so very difficult. Remember when you were learning English? To learn an English word, you needed to memorize one thing: the meaning. That’s all. I mean, that’s 3 things. That’s like, 3 units of brain power. Because in Mandarin, there are no alphabets. Every character is different. And it’s not just you. Even the Chinese themselves can’t read the encyclopedia until age 12. 2. One syllable has different shapes, meanings, and tones. Different shapes, different meanings, and different tones! 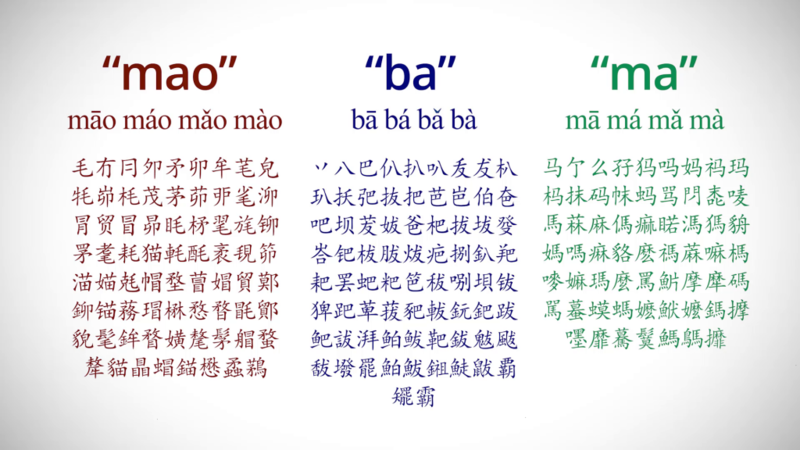 In fact, usually, each syllable, like “mao”, “ba”, or “ma” has four tones and more than 50 shapes & meanings. 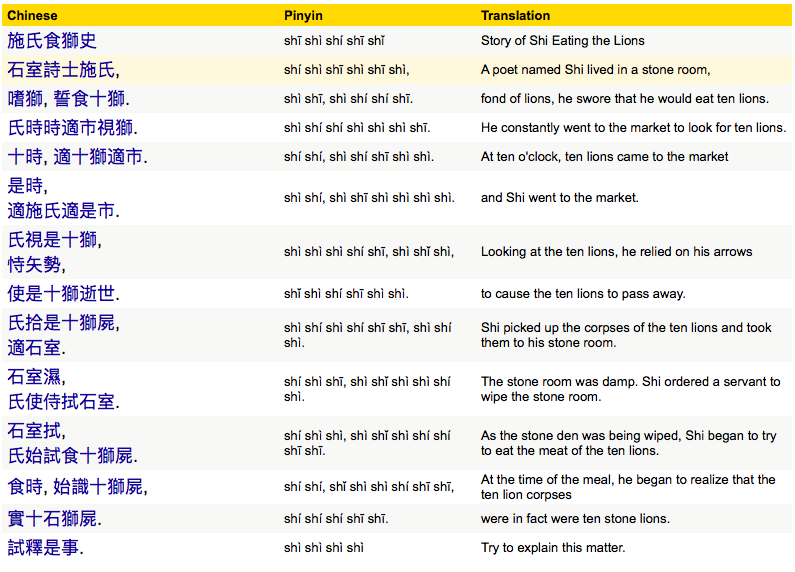 This phenomenon can be demonstrated by a poem that contains only the syllable “shi” and makes perfect sense in Chinese! 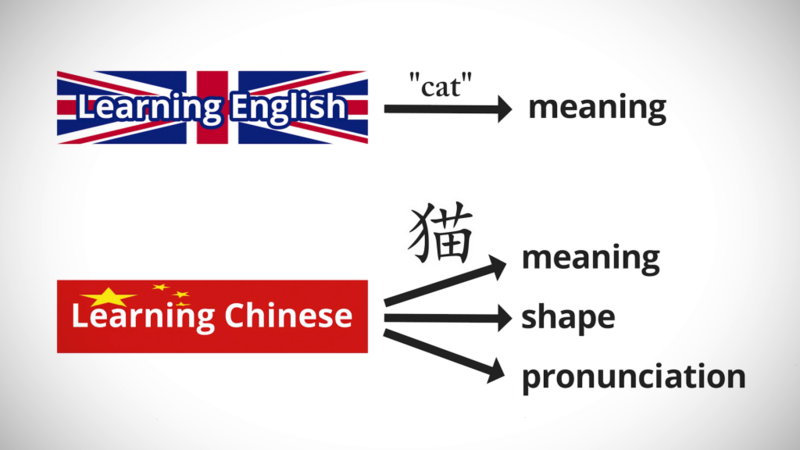 The Chinese language is immensely different from the English language. The problem is, most people teach Chinese like they teach English. I mean, you kidding? You can do that with English, because it’s phonetic! But in Chinese, you can’t just use pure memorization. It will frustrate you and make you drop out of learning Mandarin. And you know what’s even worse? 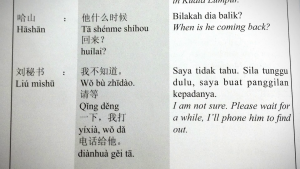 Most of the Chinese textbooks I’ve found give you ridiculously long sentences, and expect you to get it. I mean, NO. Also, the font is very very small. The only way to at least learn something from these textbooks is to become Ant-Man. And that, dear readers, is why Chinese is notoriously famous for being difficult. Do you agree with our reasons, or have more reasons to add? 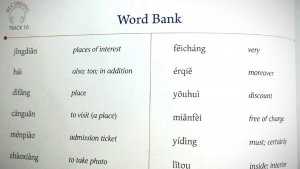 Have you ever experienced these difficulties while learning Mandarin? Leave your comments below. Thanks for reading! 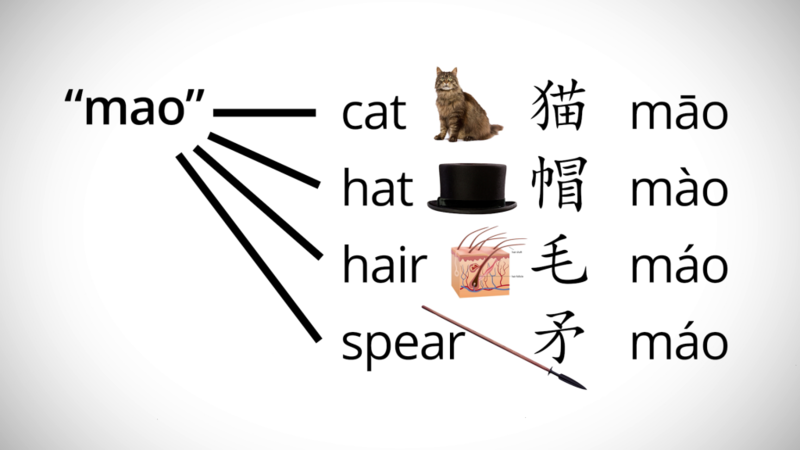 I need to make a post on the reasons why Mandarin Chinese is so easy. Soon! Do follow us on Facebook for more updates. Posted on September 15th, 2016. 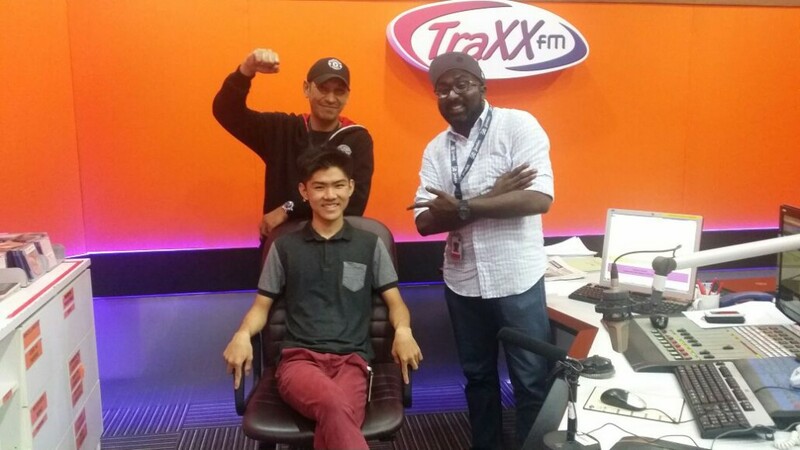 Thank you TRAXXfm for having me on the Morning Show (14 Sept at 8.25am) to talk about Speed Mandarin and Malaysia Developers Day 2016. Got to joke around with Nigel the Green Man and DJ Double D about blogging, developing apps, and whatnot. They even asked me to teach them Mandarin off-air and stood to say good morning teacher, but then they turned out to be tall; so I asked them why and they apologized for starting school late. Wow, Double D, you really should start singing Chinese songs and audition for a talent show! Thanks guys for the great time! Posted on August 16th, 2016. If you prefer text over video, then read the transcript below! Michael Phelps has now won 5 more gold medals in addition to his already record-breaking 18 gold medals. And I would like to say, thank you Michael Phelps. In 2008, when you were getting ready for the Beijing Olympics, you wanted to prepare by learning Mandarin Chinese. And so you did, using a very popular Mandarin-learning program. And even though you soon went on to become a spokesperson for this popular Mandarin-learning program, with a video uploaded on August 11 of you using the program, the name of which I’m not going to mention, 9 days later you were reported saying learning Mandarin Chinese is even harder than winning your miraculous 8 gold medals in China. Which means you didn’t really learn the language! But I can’t really blame you, considering you had to spend energy learning how to say “fruit juice” in Mandarin. But thank you for saying “learning Mandarin is harder than winning gold”. Since 2008, it has helped us so much with our copywriting and marketing material on our website, because it proves that using conventional methods to learn Mandarin is difficult. Good marketing stuff, thanks! Seriously, it’s helped a lot, especially when we talk about our program to potential investors, clients, and students. 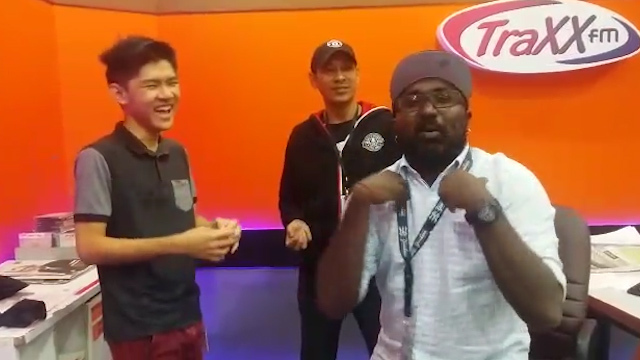 When we mention that you said “Learning Mandarin is harder than winning 8 gold medals,” they all laugh. So, I appreciate the great laugh trigger that helped make people sign up! 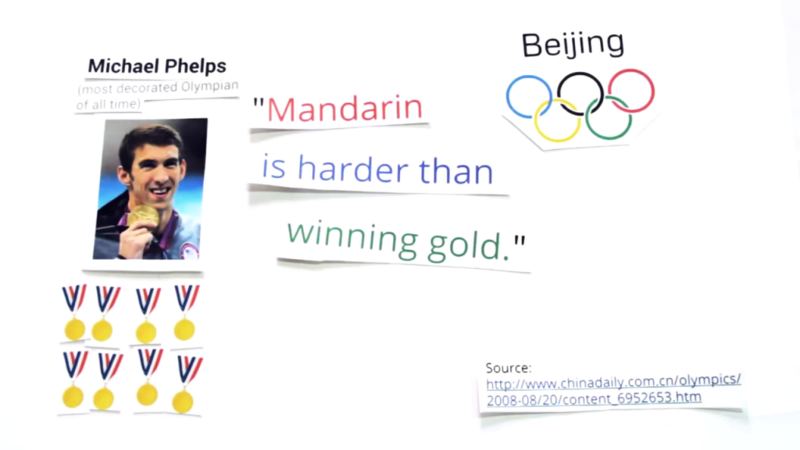 So, whenever we want to illustrate that Mandarin is difficult (and later say that we make it easy), we just say “Michael Phelps said learning Mandarin is harder than winning gold.” Simple. If you are seeing this and you are not Michael Phelps, I need you to tweet this to Michael Phelps so he can finally learn Mandarin for reals. ENDORSE US. Just kidding. No seriously. Come to us. ?